While my brain tends to lean more to the right (ha! in more ways than one! 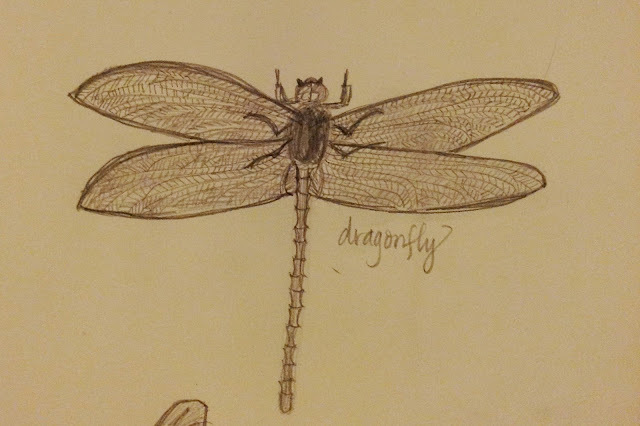 ), I’ve never had much confidence as far as drawing and painting go. But a couple of trips recently to paint at a local art studio has inspired me to at least try. Ben received the book, Draw Really Cool Stuff, for his birthday several years ago. On occasion, he has taken it down to attempt drawing something in it, but for the most part, it has mostly just collected dust. Two weeks ago, in an effort to completely declutter our homeschool bookshelves, I had to make a decision about whether to keep this book, or take it to our local homeschool consignment shop. I sat down for a few moments, flipping through its pages, trying to decide. Ben hardly ever uses it, it’s just sitting here, why keep it? And then it hit me. Ben isn’t the only one in this house that could benefit from its instruction. I have always loved to doodle, why not learn to draw? 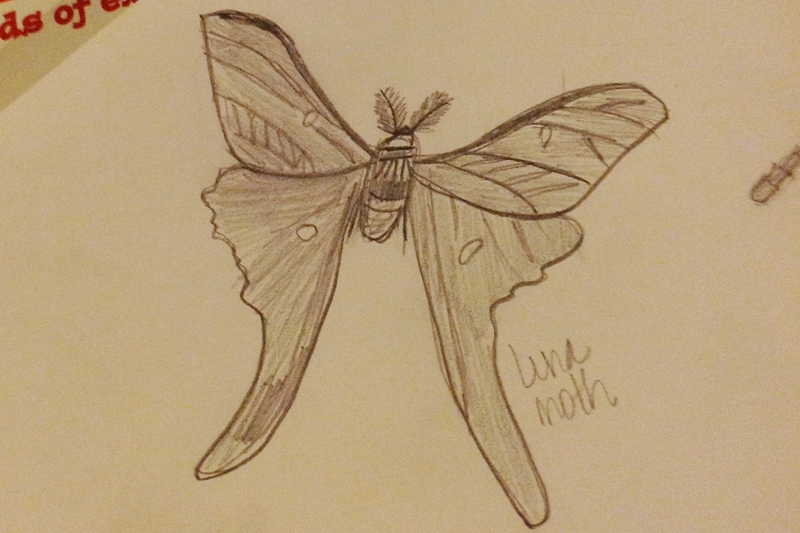 So I opened it up to the section on insects and drew a dragonfly, and then a luna moth. After that, I tried a turtle. 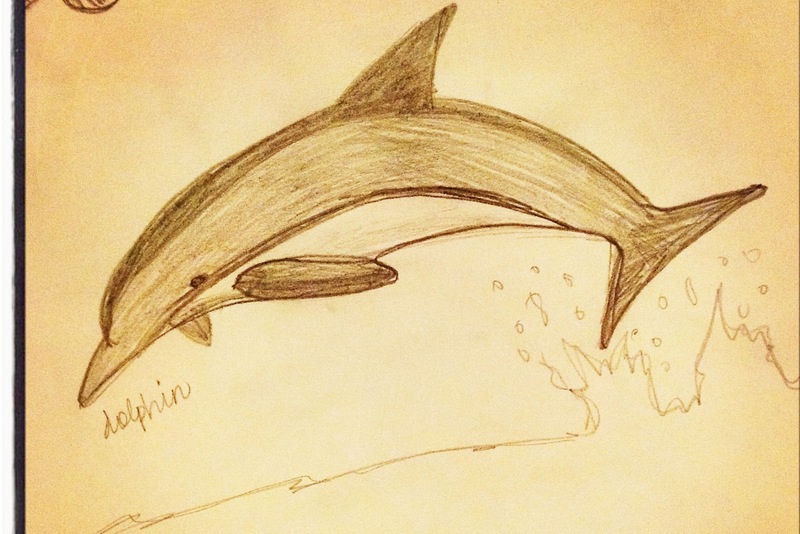 The next day, I drew a stingray and a dolphin. Not half bad, really. Not perfect, but way better than anything I could have imagined. And it’s fun! Ben keeps watching, asking what I’m going to draw next, praising the final creations. I’m hoping that by watching me enjoying myself, he’ll get interested as well. He loves to draw, but he hasn’t moved much beyond simple comic strips, since he had to stop taking art classes a few years ago. 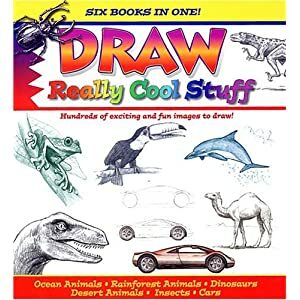 I’m hoping that he will be inspired to try something from Draw Really Cool Stuff, too. There are 6 different books in one — Ocean Animals, Cars. Desert Animals, Dinosaurs, Rainforest Animals, and Insects. 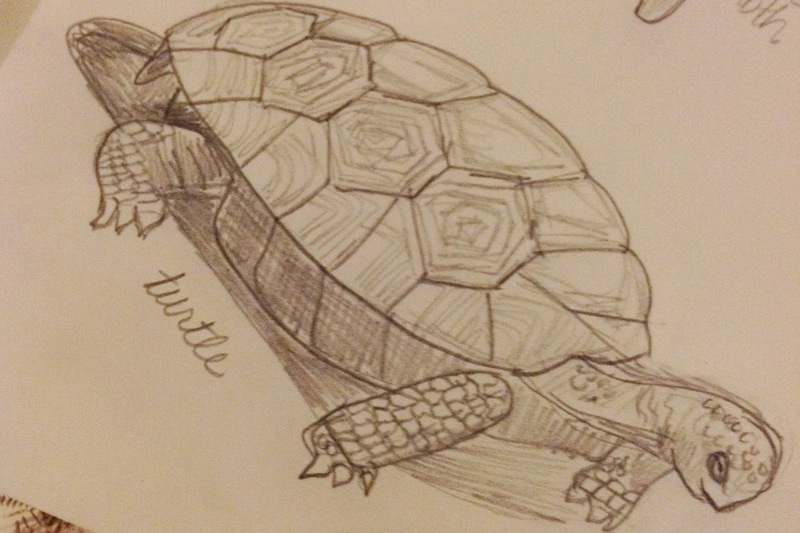 So many amazing little creatures (and cars) to draw. Next up for me is a sloth. He’s really pretty cute. 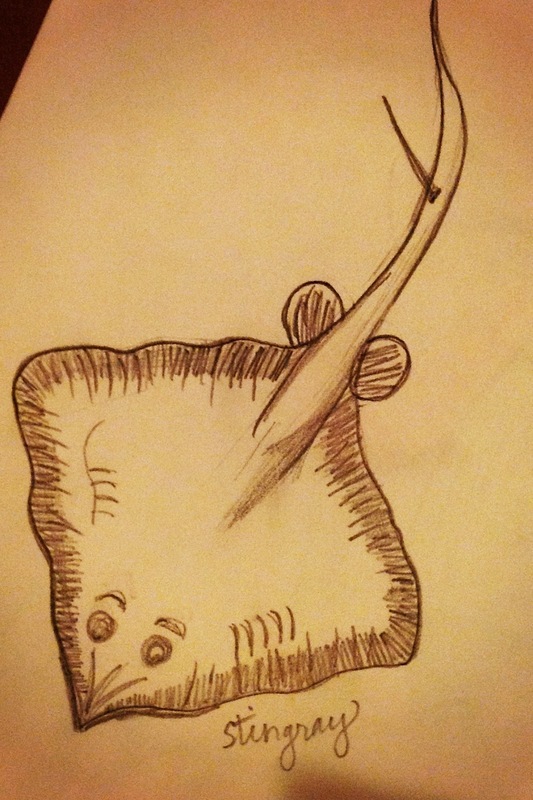 Hopefully, I’ll soon be sharing some of Ben’s drawings.